Song Joong Ki made an appearance for his friend. 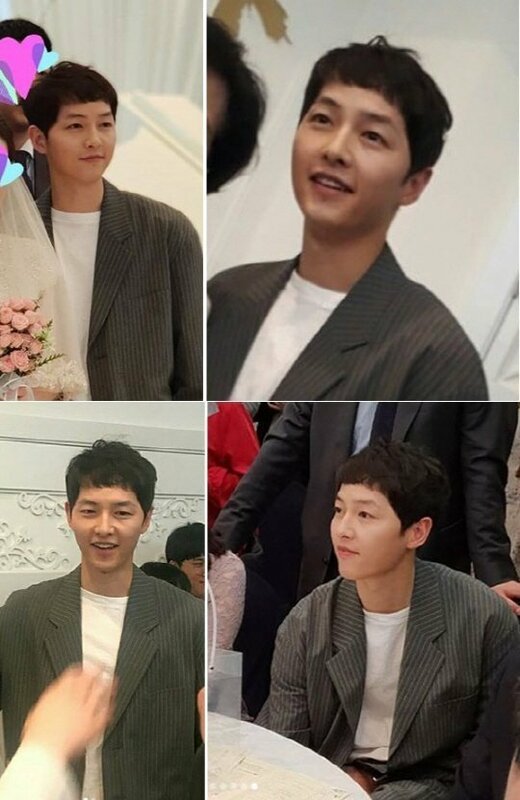 On April 28, Song Joong Ki attended a friend's wedding in Jeonju. The top star even stood in front of the crowd and delivered a congratulatory message. He stated, "I think my friend and his wife will be able to live happily because many of you have come to congratulate them." It's reported that Song Joong Ki stayed throughout the entire ceremony and kindly responded to photo requests. Meanwhile, Song Joong Ki has been taking a break from promotions since his wedding in October.